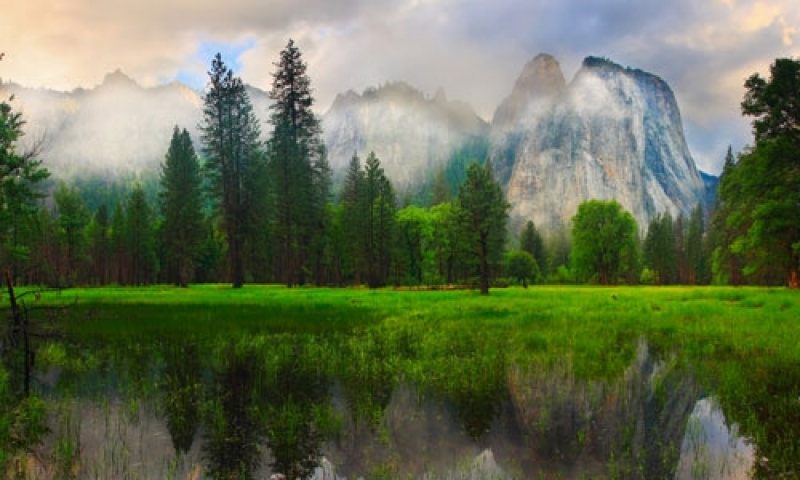 Yosemite National Park is all about mountain peaks and waterfalls. In Yosemite, you will find unprecedented landscapes that range from low valleys to high snow capped mountains. There are unique rock formations and spectacular vistas. You can enjoy scaling the steep walls of El Capitan, walk up the ladder at Half Dome, or take a brisk hike to Mount Hoffman. Whether you are standing on the precipice of the mountaintop looking down or sitting in a wildflower-blanketed meadow looking up, you cannot deny the majesty of the mountain features of Yosemite.